Sanicat Zen clumping cat litter lets you rest safe in the knowledge that you are using an efficient, highly absorbent litter to look after your cat's hygiene. Its gentle lotus bloΒom aroma will fill your home with a pleasant, relaxing fragrance that both you and your cat will enjoy. The litter absorbs urine and odours quickly and locks them up inside the clay clumps, making it easy to keep the litter tray clean and fresh, for maximum comfort for your cat. 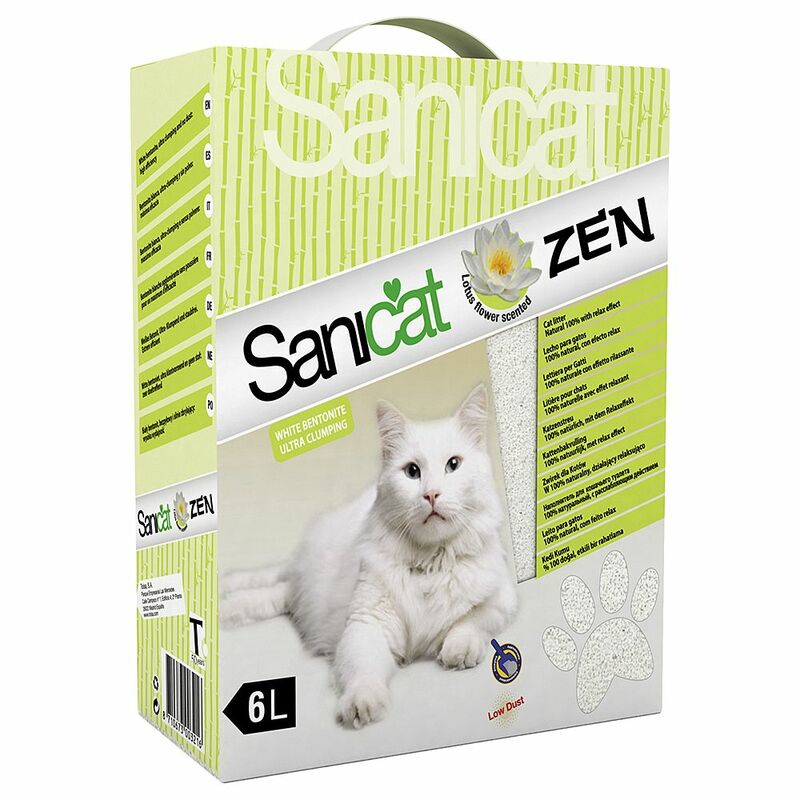 Sanicat Zen cat litter is made from white bentonite, which is highly absorbent. It absorbs up to 200% of the weight of the liquid, making this litter both long-lasting and economical. Sanicat Zen clumping cat litter at a glance: Clumping cat litter 100% natural: Made from white bentonite Relaxing aroma: Pleasant lotus bloΒom fragrance High absorbency: Forms very solid clumps with 200% absorbency Economical: Long-lasting effect Bag with a practical carry handle.